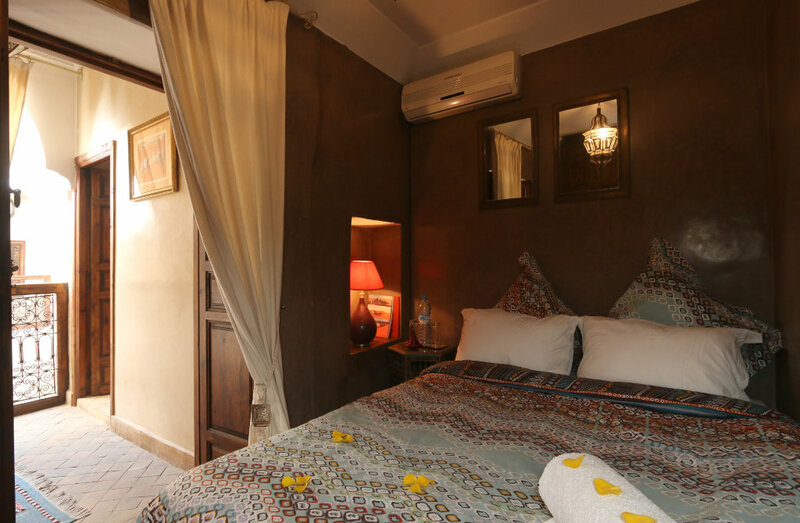 Riad Jaune Safran (the Yellow Saffron Garden), is a stunning 5-bedroom traditional house placed in the popular Bab Taghzout area, just 5 min. 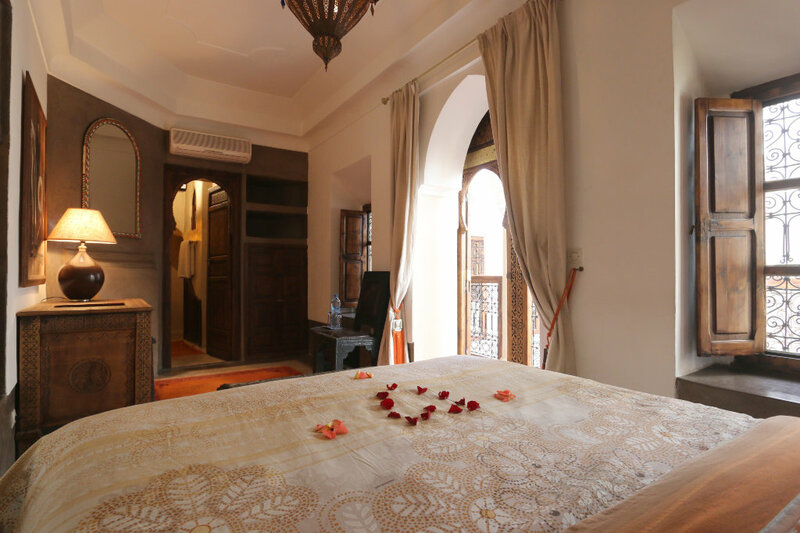 of a nice walking from the madrassa Ben Youssef, 10 min. 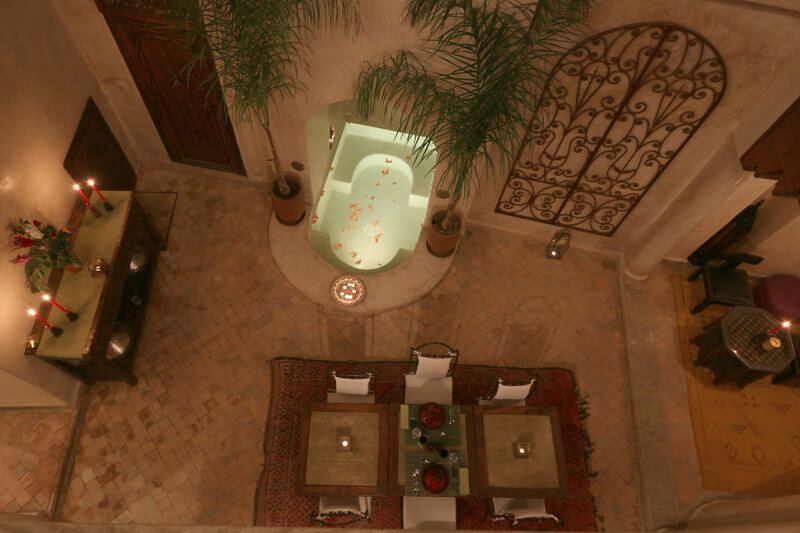 from the Majorelle gardens and 15 min. 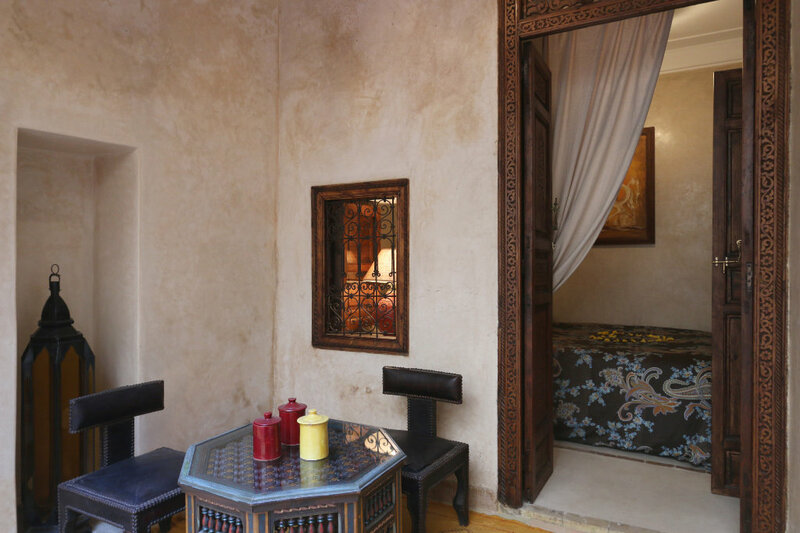 to the Djemaa El Fnaa square. 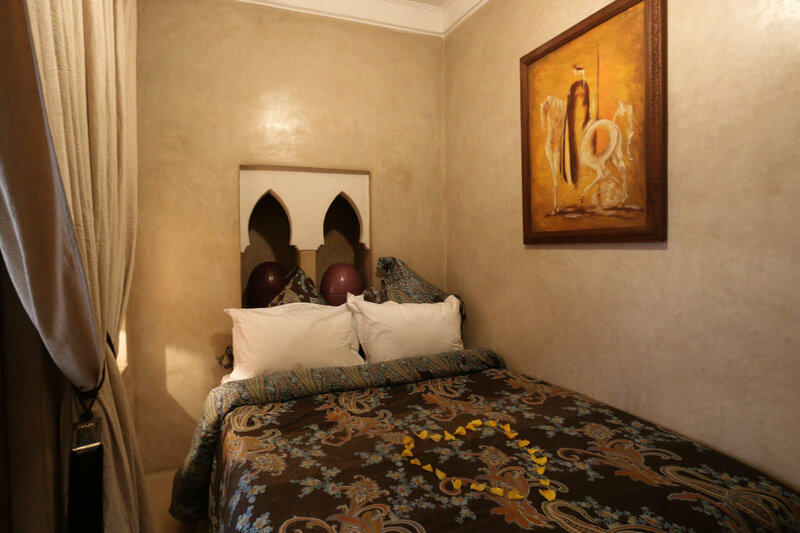 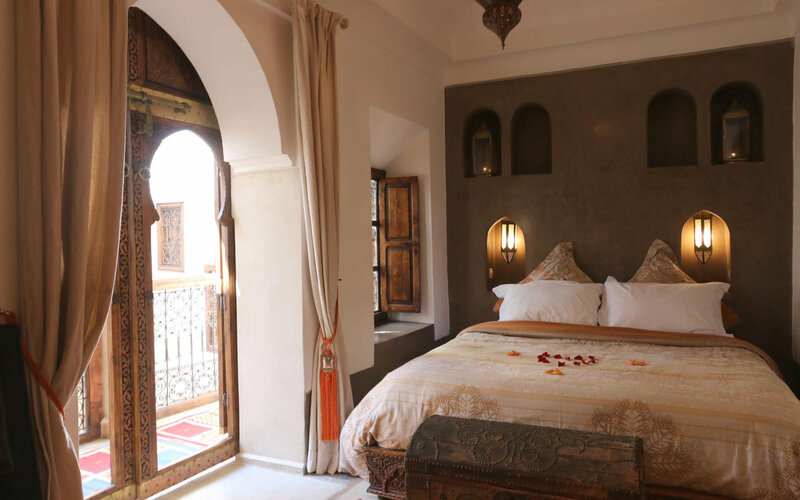 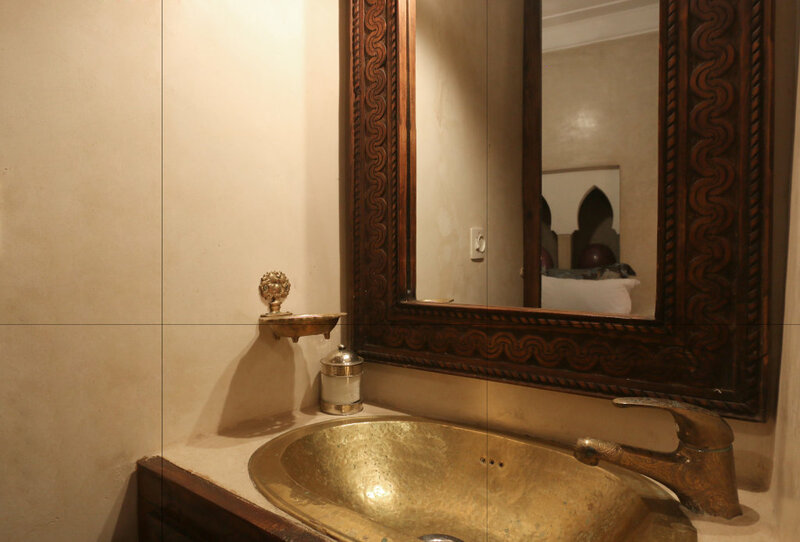 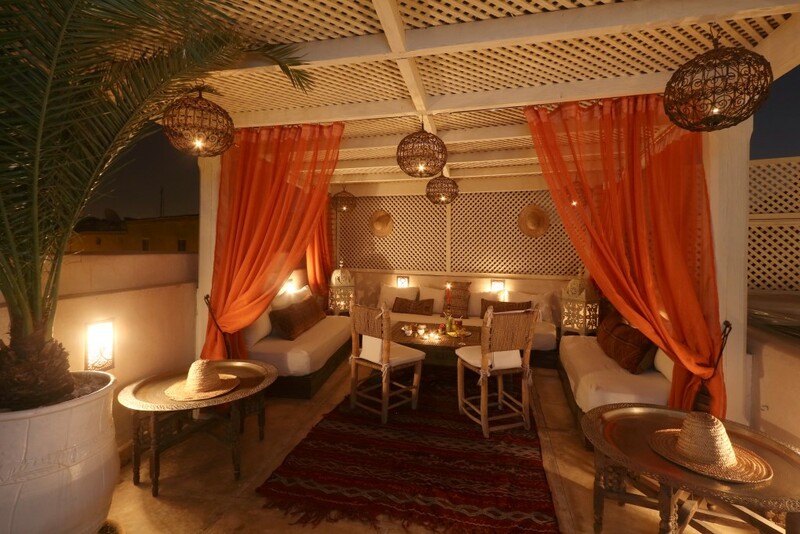 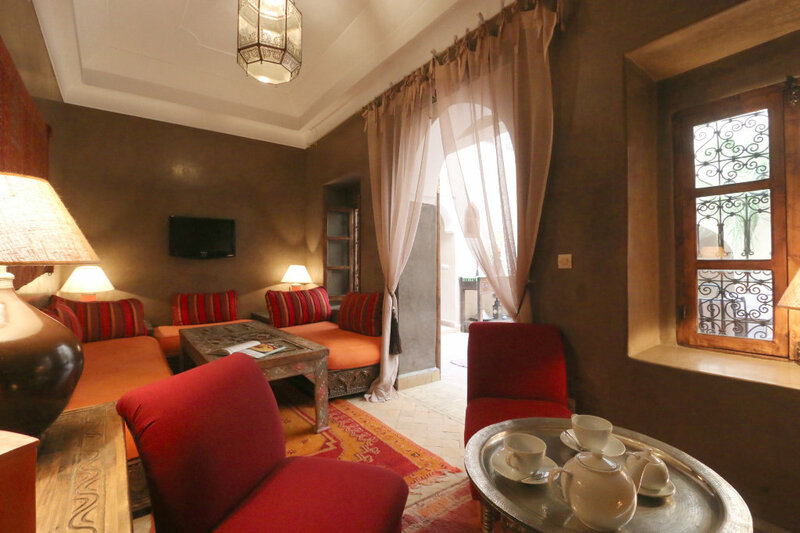 Ground floor: where you can find the hall with the boutique, the kitchen (which is Noura’s kingdom), a traditional bhou (living room) with a TV and fireplace, a traditional hammam, and a double room with en-suite bathroom and a Moroccan typical snuggery. 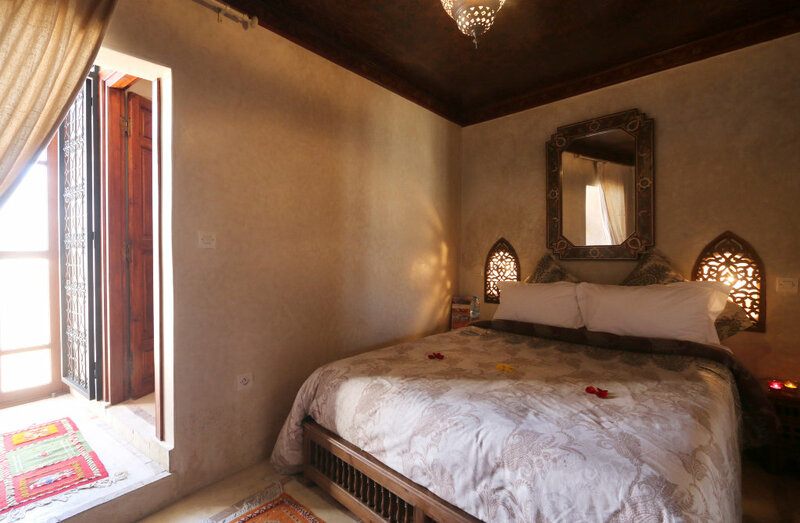 First floor: where you can find 2 double rooms with en-suite bathrooms, a typical Moroccan snuggery, and a suite with fireplace and en-suite bathroom. 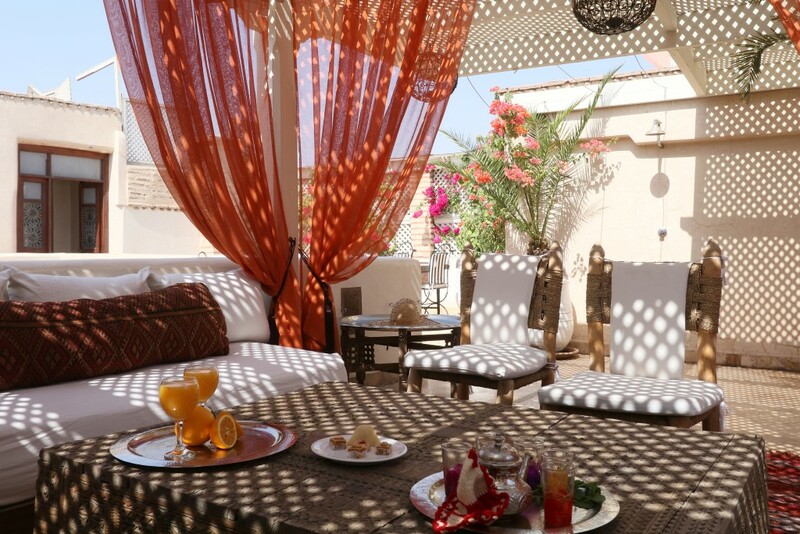 Second floor: where you can find a private terrace with a double room with en-suite bathroom, sun beds, a shower a table for your dinners under the stars, and a shady pergola with sofas and tables for your relax. 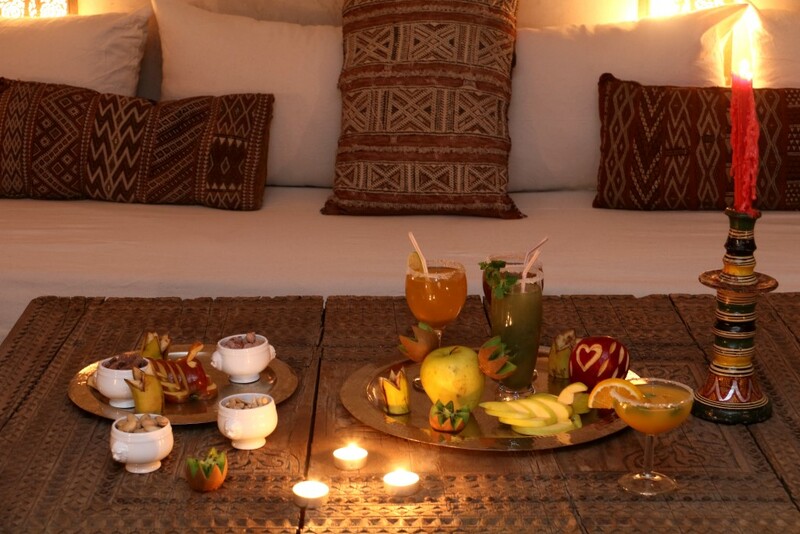 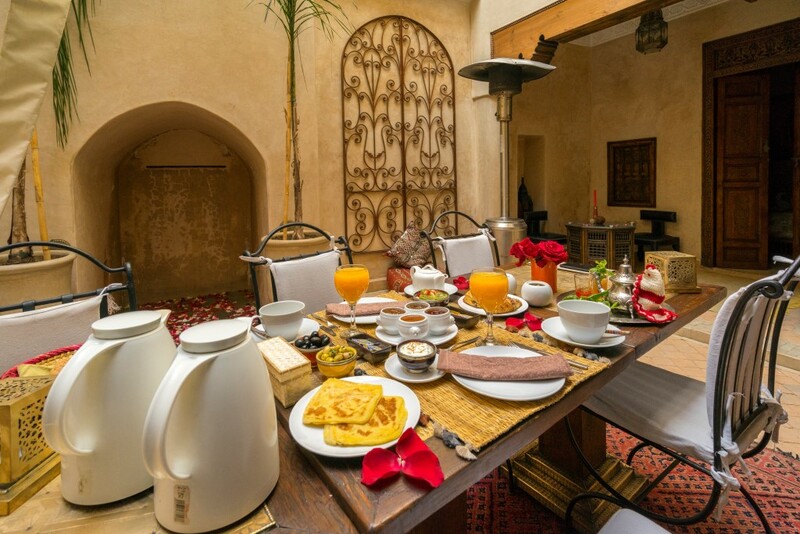 It is a place where you can enjoy a relaxing holiday, appreciate tasty cooking and immerse yourself in the Moroccan culture and way of life. 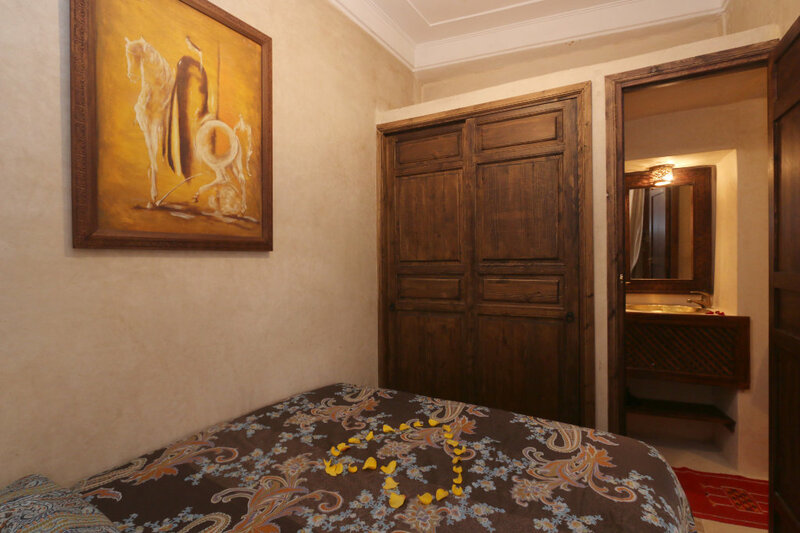 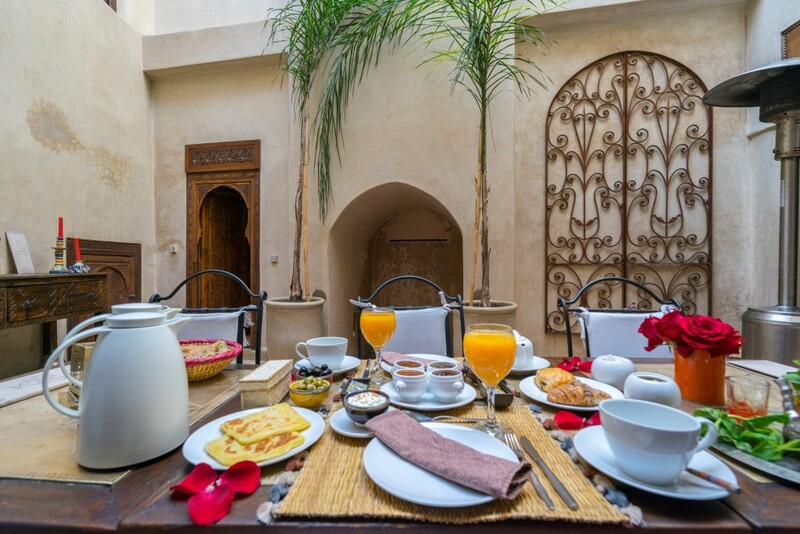 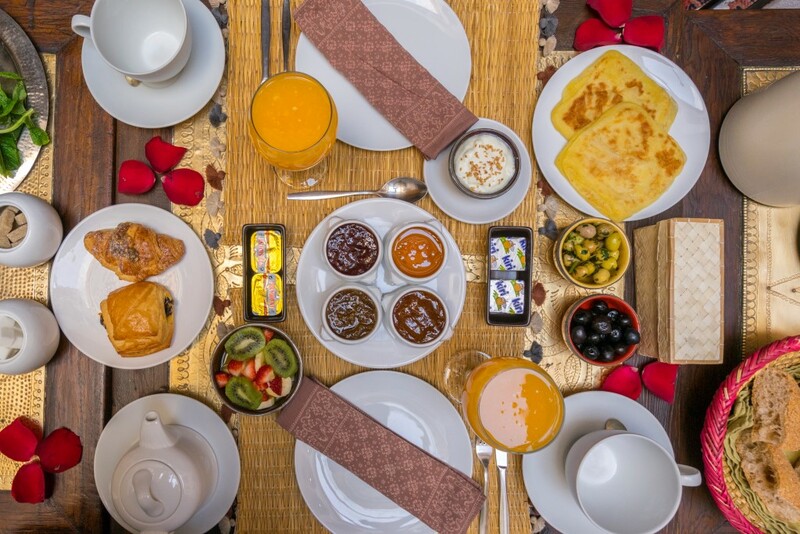 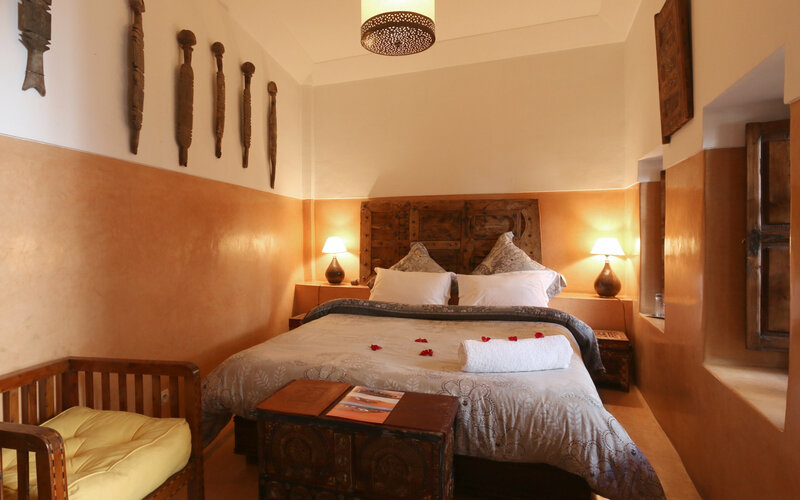 Riad Jaune Safran will welcome you among its stylish tadelakt walls, decorated with inlaid woods, wrought iron, mosaics and traditional motifs, which we have enjoyed decorating with playful colours.